EasyCGI web hosting may not be the first option that comes to mind when you are looking for web hosting options but it is certainly worth taking a closer look. 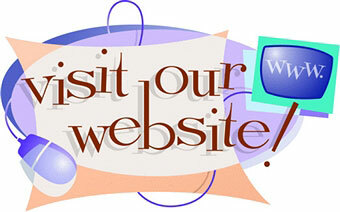 They offer standard web hosting services covering a broad range of customers. 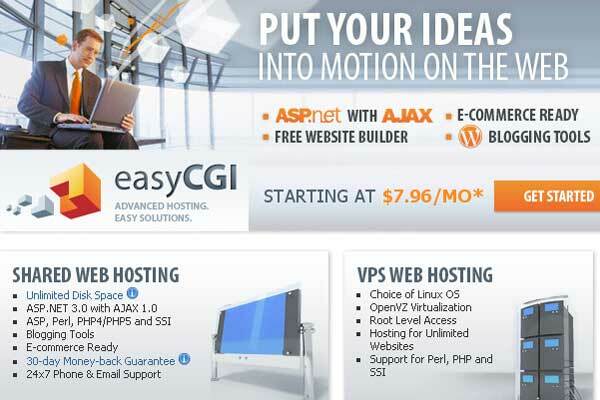 EasyCGI caters to low to medium range websites with their packages comprising of shared and VPS hosting only. One of the main attributes that you may tend to notice is the comparatively higher pricing. Over the years, shared hosting prices have plummeted dramatically with the multitude of competitors penetrating the market from different nations resulting in a sharp drop in prices. However, Easy CGI tends to offer its services a few dollars higher than the average pricing for shared hosts. Despite this, they maintain a loyal customer base. Here is our detailed review on web hosting services offered by EasyCGI. Higher prices for shared hosting can be attributed to the fact that they only provide Windows based shared hosting. This provides more accessibility and will be particularly instrumental if you are looking to incorporate a .NET framework into your website. Windows hosting is available in Windows Server 2003 and 2008 versions. You may be hesitant to opt for Windows hosting if you have managed websites before on a shared host as it is typically available on a Linux operating system however both operating systems are equally powerful in terms of performance for hosting purposes. There is also speculation that Windows based servers are more secure. Shared hosting is available in three plans giving you plenty of choice prior to making your purchase. A recent trend with hosts specializing in shared hosting is to provide a single option. This can be inconvenient if you are looking for shared hosting with slightly higher specifications. A common trend in shared hosting packages is to advertise their package with “unlimited” disk space and bandwidth only to find your service suspended because you “abused” the service. 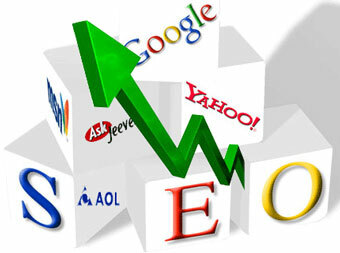 Upon contacting customer support, you will find that your website consumed more resources than expected. This can leave any webmaster frustrated and helpless typically if you are experiencing a flurry of targeted visitors as a result of some content going viral. EasyCGI on the other hand specifically states what you get with your package allowing you to monitor and ensure that you are not notified of any unwelcome surprises. Depending on bandwidth used, you may upgrade your package if required. In the event that shared hosting may be insufficient, you can simply upgrade to a virtual private server plan. Their features page list the standard set of features that you can expect to find with virtually any shared host. This includes 24 hour support, shared SSL support and a free domain with privacy. You can also append unlimited domains to the shared server. One-click installation support for popular scripts and content management systems is also available however this is limited to only the most popular services which is less than what some of the other popular shared hosting companies provide. If you look at their VPS plans, prices here are relatively higher again with prices starting from $40 a month on a yearly term and $50 a month if you are on a monthly term. While it is assuredly worthwhile to pay for an entire year, it is always a good idea to test the service for at least a month prior to making that long term commitment. While shared hosting is only available on the Windows platforms, VPS hosting is exclusively provided on Linux. A number of Linux variants can be chosen prior to purchase, so if you are looking to host any .NET based websites, you will have to look for another solution. Linux hosting is available in 4 options. Disk space varies from 20GB to 100GB which may be a tad limited depending on your requirements. If you are looking at a user-driven website with content comprising of media apart from text, EasyCGI may not be for you. Static websites attracting a large number of visitors as well as user-driven text based websites such as forums can be entertained with ease with this data specification. 500GB to 2 terabytes of bandwidth is plenty to work with. EasyCGI’s VPS hosting also promises same day setup with respect to date of purchase which alone is a considerable reason to invest in this option as you may frequently find yourself in a situation on a crashed shared server looking to quickly transfer your files to a VPS to make advantage of the swarm of traffic your website has extracted in order to capitalize on ad revenue, exposure and/or sales depending on your website. The rest of the features comprise of standard support of a range of services offered typically by most VPS servers. If you are looking for a solid, average virtual private server, EasyCGI should be a good option to consider. One unpopular shared hosting package they offer is an email only which can be ideal if you are looking to communicate with clients and people of interest for your online business prior to launching a website. The email only package is available for a modest $4 a month on a yearly term. $4 a month will fetch you 500 email accounts and a pop based server. Looking to host a small-scale website developed in a .net based language. Looking for a solid, basic hosting shared or VPS hosting service without any issues. Fed up of lack of transparency in shared hosting plans. Looking to launch a large-scale email marketing campaign. If you are not finicky about the cost of your hosting package and willing to dish out an extra buck, you should sign up for EasyCGI right away.